For World Environment Day, Signature on the Saint Lawrence (SSL) and Infrastructure Canada (INFC) today received the highest award, PLATINUM, based on the ENVISION® sustainable infrastructure rating system, from Melissa Peneycad, Head of ENVISION verification program at the Institute for Sustainable Infrastructure (ISI), for the New Champlain Bridge Corridor Project. 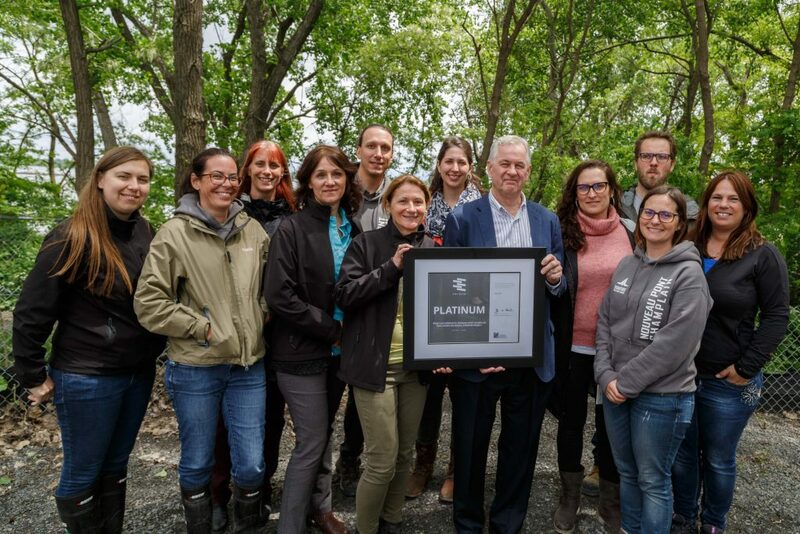 This is the first ENVISION® project evaluated in Quebec and the first large-scale bridge in Canada to receive the award, which recognizes all the efforts made to observe the highest standards in terms of environmental performance and sustainable development. 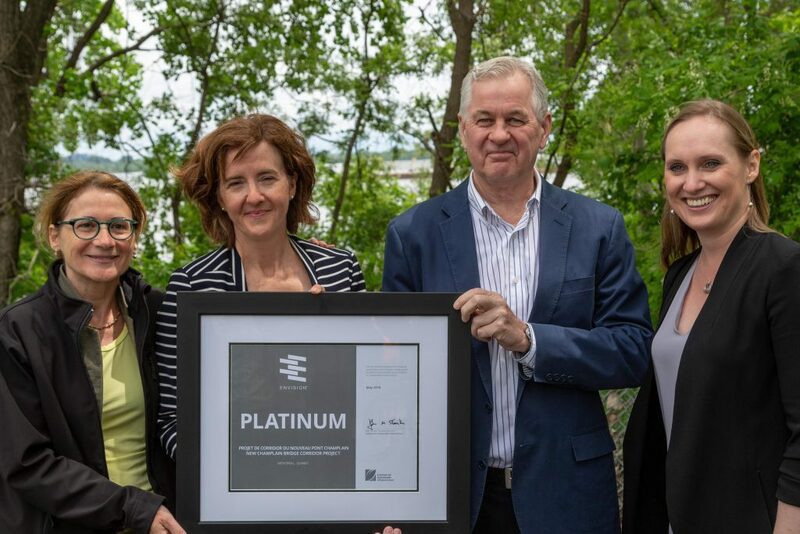 ENVISION® is a sustainable infrastructure rating system from the Institute for Sustainable Infrastructure (ISI), a Washington-based organization, that specifically targets urban infrastructures (roads, bridges and train stations). It is comparable to the LEED certification program in the construction industry. As the New Champlain Bridge Corridor Project is a flagship project for Quebec and Canada, and it was therefore crucial to obtain the highest recognition possible.